Nickname "Jake", AQHA #248492, PHAA #75511, Double Registered Paint and Pinto Gelding. 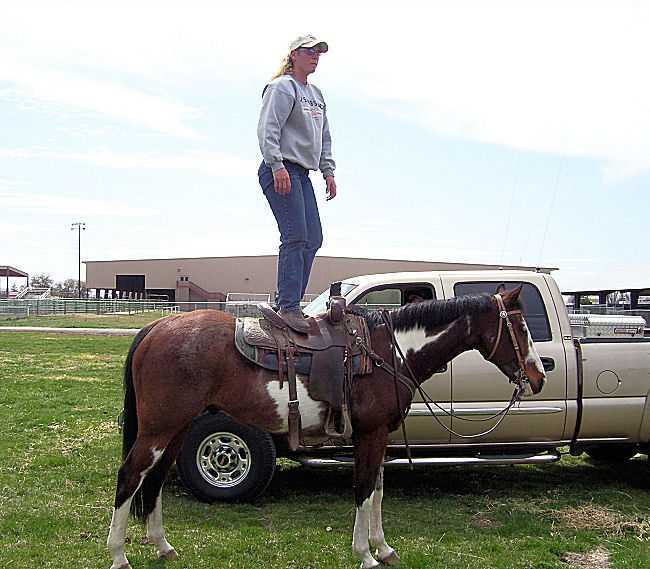 Here is a 'been there done that' fancy paint horse! Carry a flag or ride the mountain trails. This is a gentle horse with lots of training. In 4H he has been to state fair four times. 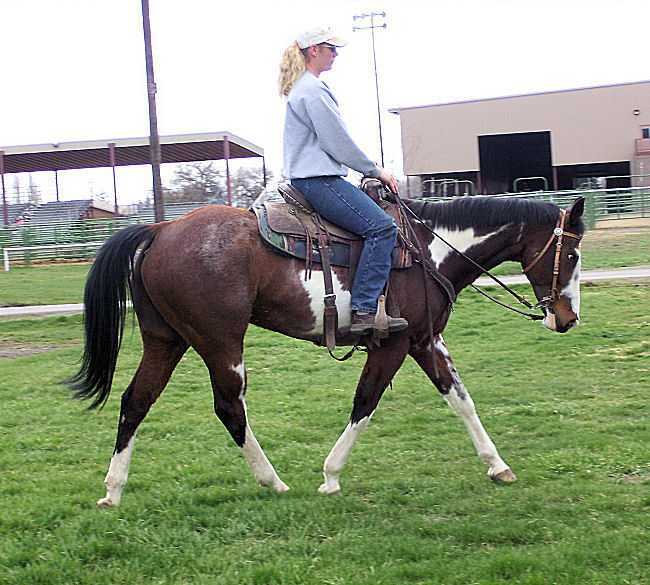 He also has show points in the Paint horse association. 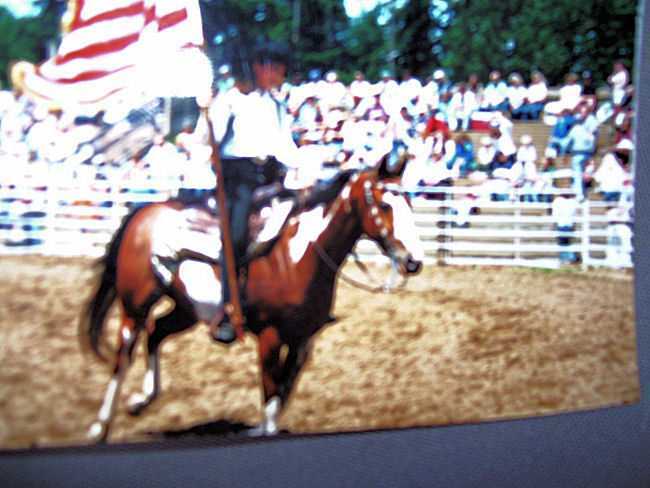 He has been shown English and Western, as well as in Showmanship. Jake has carried flags in Grand Entries and opening ceremonies. He is very gentle but has a bit of go to him. 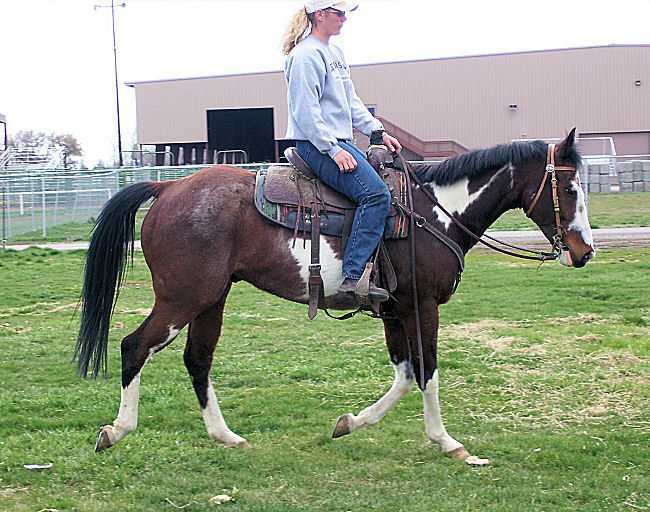 He is best suited for intermediate riders. Jake knows his name and likes it!